Hey little bug! How do you hug or cuddle or kiss your mum or sis, with all those arms and legs and things, and wiggly bits and wobbly wings? 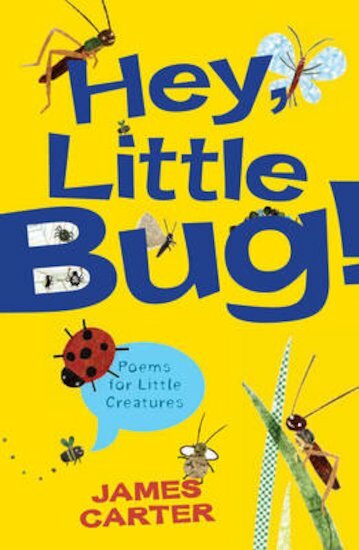 In prize-winning poet James Carter’s luscious collection, all sorts of bugs and minibeasts kick off the fun. There are poems about moths, ladybirds, spiders and fireflies. But – wait! The bears, dinosaurs and foxes also want a piece of the fun. Oh, and here come tractors, trains, boats and pirates, crayons, a marble and a shell. Whatever topic you pick, it has a story – and this book will tell it in verse!